We regularly commute up and down the Pacific Highway, and as more towns have been bypassed it has gotten quicker. The downside? It’s easier to miss some of the special places that are off the beaten track. So, last week we decided to take a detour at the Hawks Nest exit, North of Newcastle and Port Stephens. What we found was a lovely surprise. What’s the best place you’ve discovered when you’ve detoured off the beaten track? Let me know in the comments after this article! 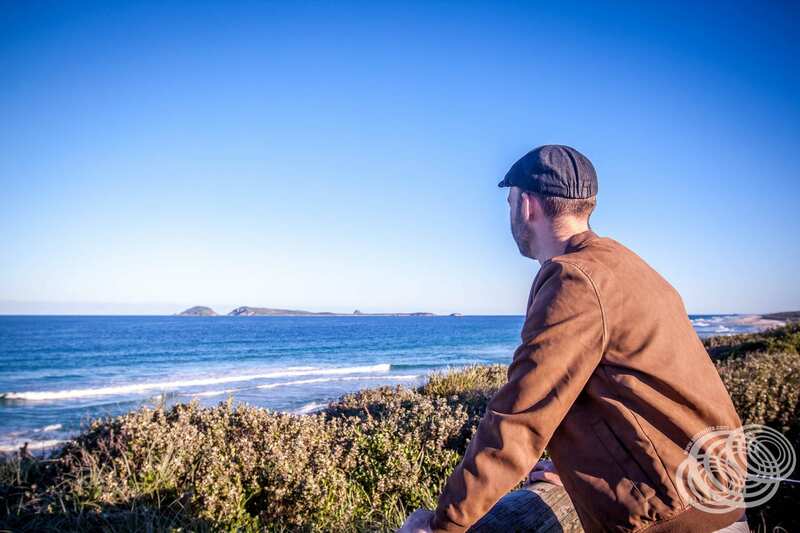 Matt Looking To Broughton Island from Myall National Park. After turning off, it’s a short drive into the town of Tea Gardens. Yes, that is a town. If you don’t believe me, check it out on the map below. Driving through the town, it turned out to be bigger than we expected, even featuring a golf course at Hawks Nest – the two towns kind of merge together, sort of. 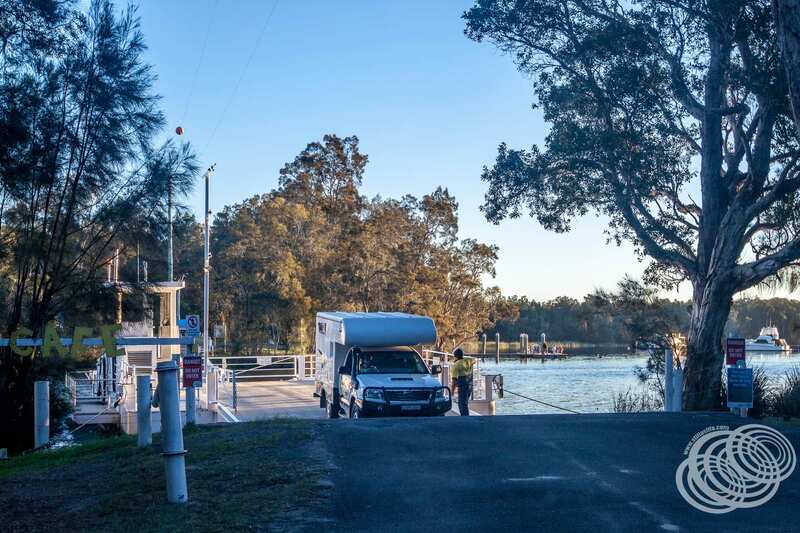 Once we reached the end of the road, a right turn took us down to the town of Winda Woppa through Hawks Nest while a left turn heads to Myall Lakes National Park. We decided to visit Winda Woppa since we were there anyway. 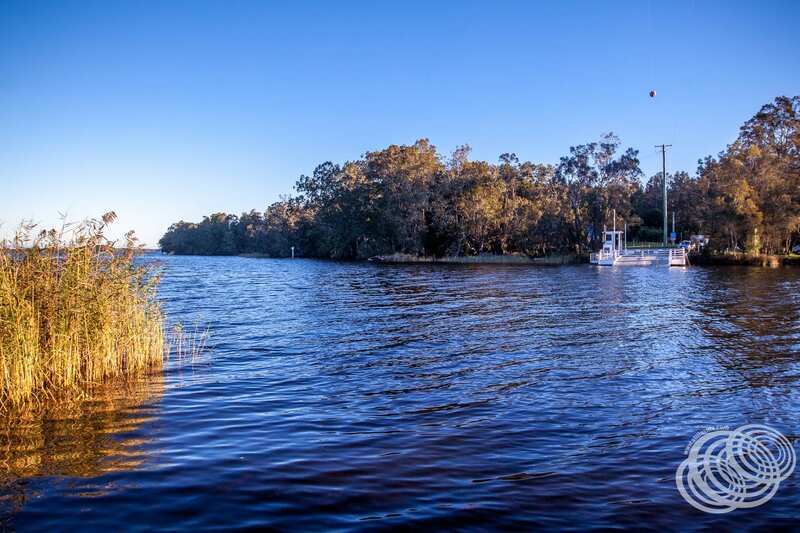 It’s just a housing estate, but it is surrounded by water, with the Karuah River on one side near where it empties into the Pacific Ocean and the Myall River on the other before it joins the Karuah at Corrie Island. 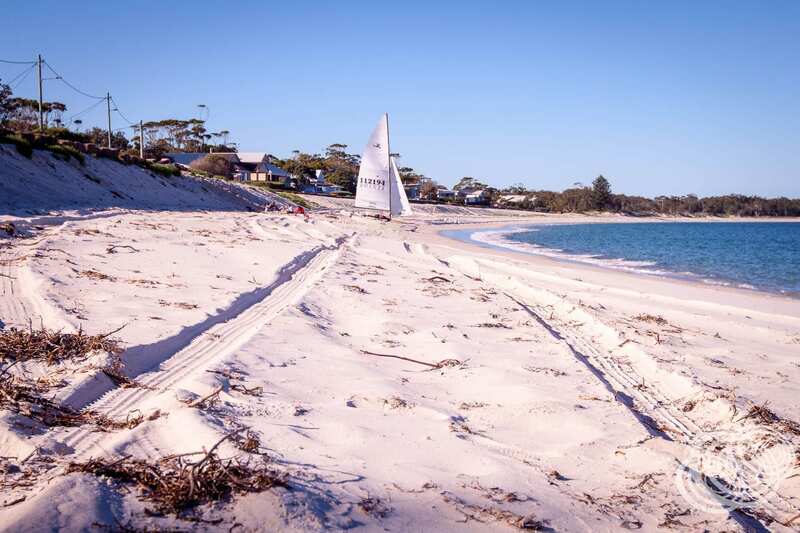 Here you can find beautiful, sheltered white sandy beaches that are 4WD accessible with crystal clear water. Looking across the wide river mouth you can see Tomaree Mountain, Shoal Bay, Nelson Bay, Port Stephens all the way to Soldiers Point. A lot of the houses here are available for holiday letting, so while it was quiet during our visit, I suspect it gets busy in Summer, and why not with such a gorgeous beach. There were only a few people at Jimmy’s Beach. 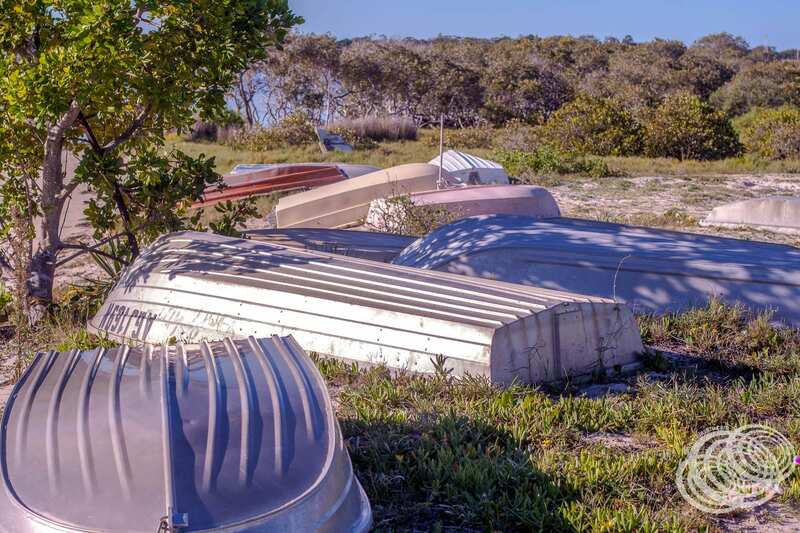 Boats Lined Up at Winda Woppa on the bank of the Myall River. 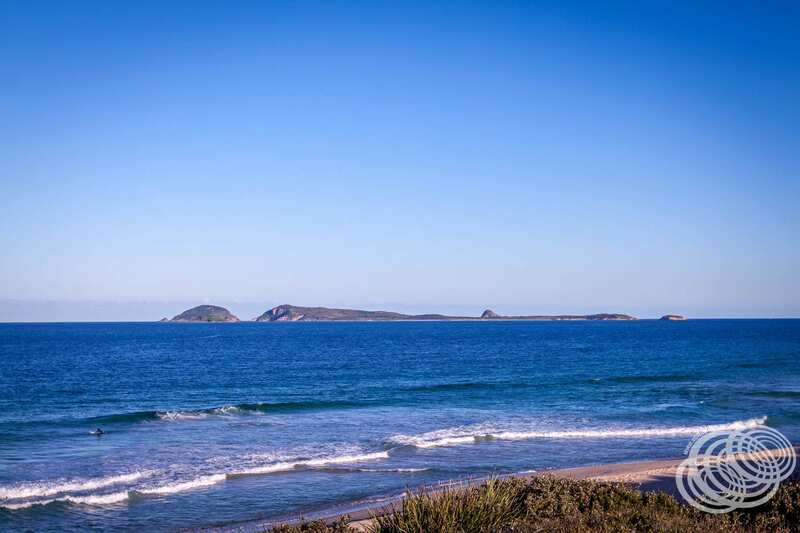 After doing a circuit of Winda Woppa, we headed back into Hawks Nest and stopped at the Tea Gardens Hawks Nest Surf Life Saving Club to take some pictures of the nearby islands. The beach here is called Bennetts Beach, and it is not as sheltered as in the river mouth, but the sand is brilliant white. 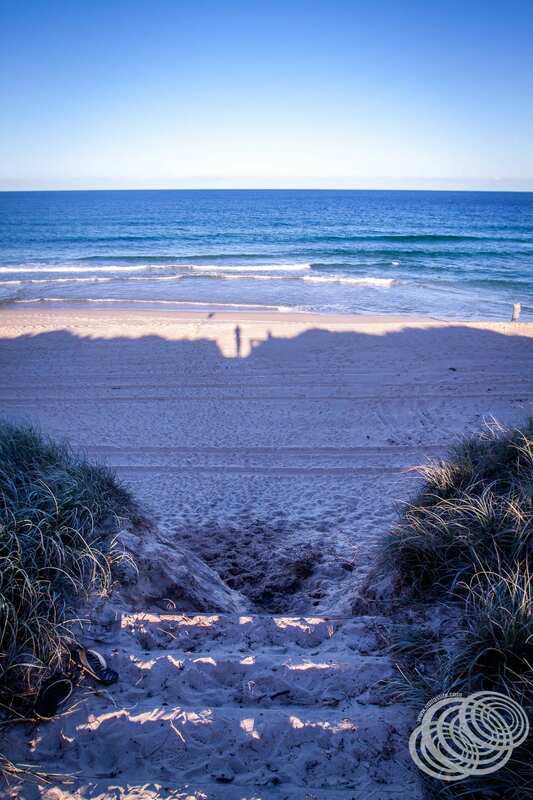 It looks like it’s the perfect spot for a swim with some waves! Passing through Hawks Nest town centre on our way to Myall Lakes National Park, we decided to stop off at the Hawks Nest Takeaway shop. There is an IGA here and a few other small stores, but it was getting late, and not much was open except for the supermarket. We grabbed ourselves a burger each and sat down to a late lunch / early dinner. They were some excellent burgers. Heading out to Myall Lakes National Park from Hawks Nest means heading north on Mungo Brush Road at the golf club, back where we had previously turned off into Hawks Nest and Winda Woppa. It’s only a short drive to the national park boundary, and it is a little confusing. 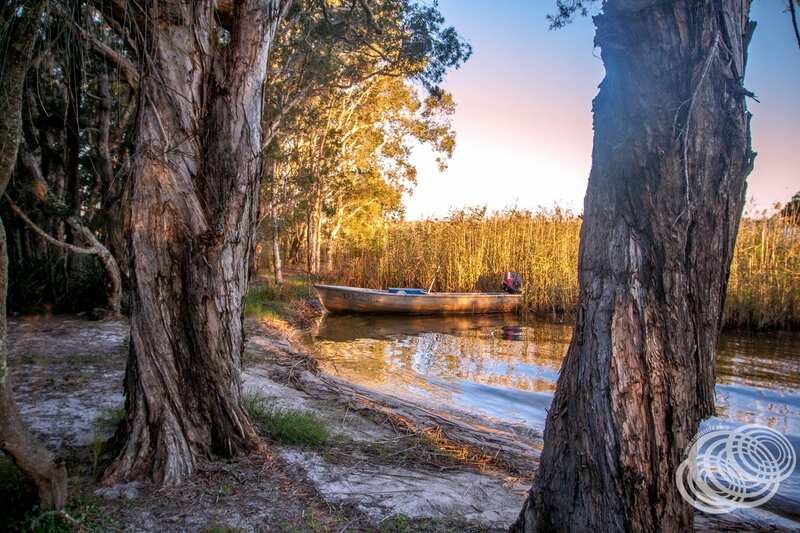 On the Myall Lakes National Park website, it indicates that there is a park day use fee of $8 per vehicle, but there is nowhere at the park entrance to pay this fee, so we are still a bit unclear on exactly how it works or if the charge only applies for campers. 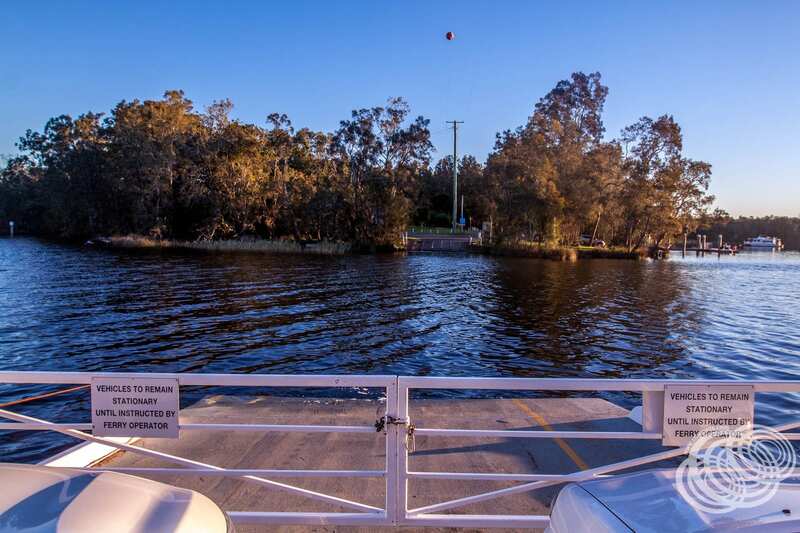 Due to our time constraints, namely, the sun going down and crossing the Bombah Ferry before it ceased operating at 6 pm, we decided to skip the first few stops in the park. I was disappointed we didn’t have time to go into Dark Point, but I was pleased that we pulled into the Hole in the Wall car park to check it out. The name is what caught our attention. 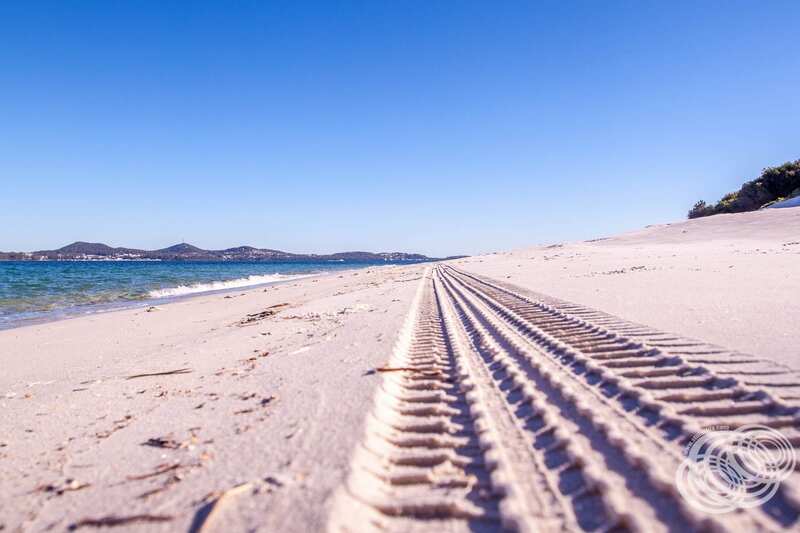 From the parking lot, it’s a 25-metre walk to Mungo Beach. There are some big dunes along the coast here, and this happens to be one of them. The path opens out to a picnic area at the top of a dune giving you a brilliant view of the beach, Broughton Island and the other smaller islands just off the coast. The beach here is the same white sand as Hawks Nest, beware of the drop! As we continued along Mungo Brush Road through the park, we saw a turn-off to the Mungo Brush Campground, but as the sun was starting to get low already, we didn’t check it out. 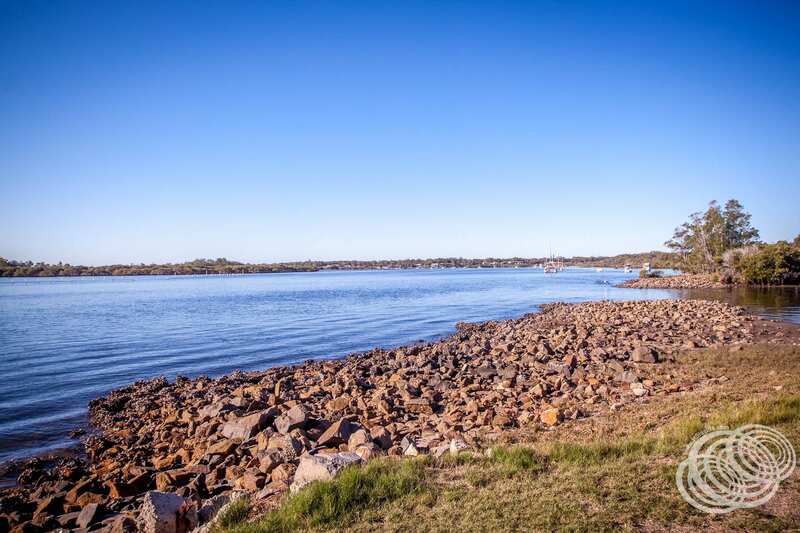 It’s located right on Bombah Broadwater, between the Myall River and Two Mile Lake, with the ocean only a short distance away so it should be a great beach camping spot. The Mungo Brush Campground turn-off is about halfway through the park to the ferry, and between the two are some other smaller campgrounds. 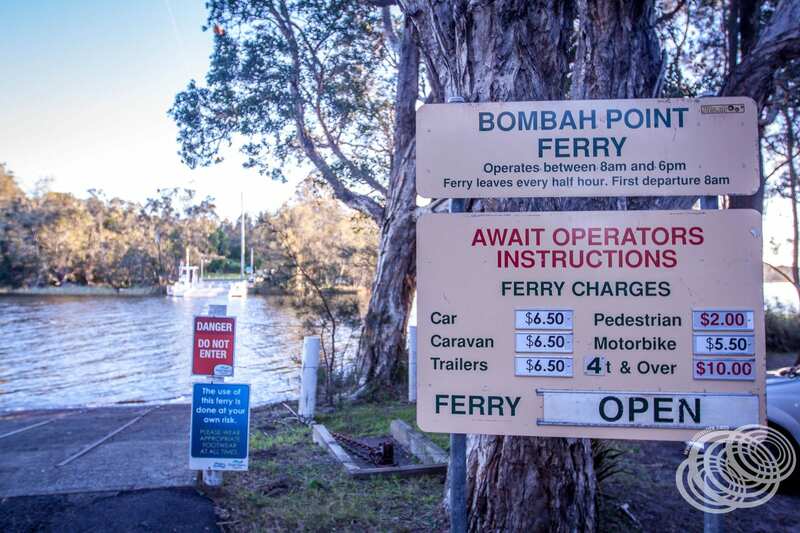 The Bombah Point ferry runs every half hour, and we got there just as it reached the opposite side. So I took the opportunity to have a bit of a wander and found a sandy alcove hidden amongst the reeds that looks like somewhere you might find a boat hiding. It turned out that there were a couple of boats hiding there! 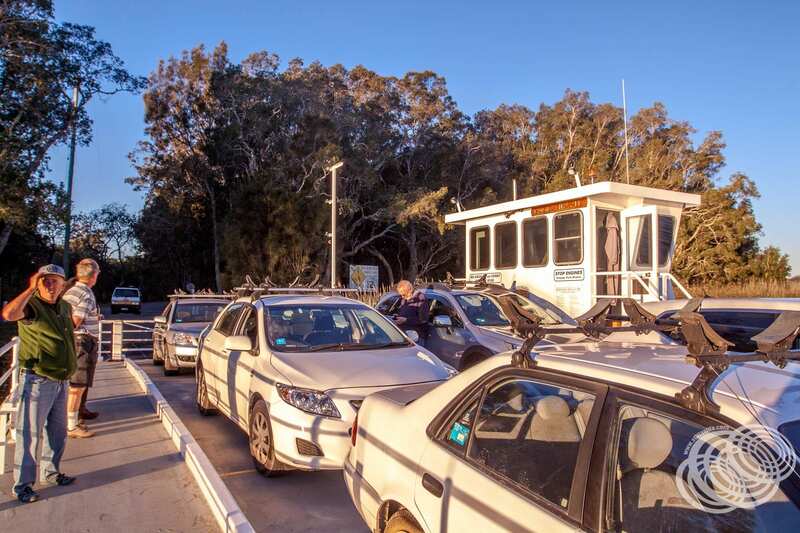 The ferry costs $6.50 for cars, and there are cheaper rates for foot passengers and bikes. Once it’s time to board, the operator will direct you on and where to park. The ferry takes about 10 minutes to get from one side to the other and only fits six cars at a time. Fortunately, though, the operator tells us that if there are more than six waiting, he comes straight back for them rather than forcing them to wait another half hour. While you are on the way across, the operator will collect your payment. It’s cash only, so make sure you have some on you. If you are fortunate like us, you might even get treated to sunset while you cross. 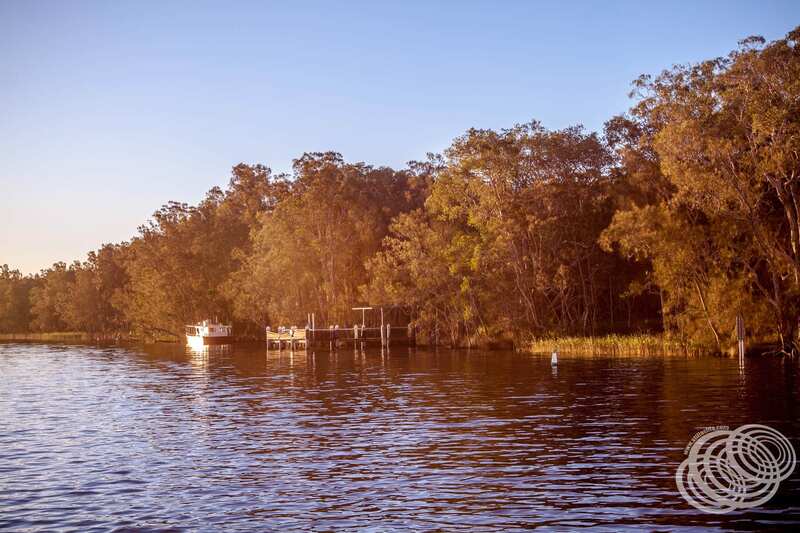 At the other side, at Bombah Point, you’ll find the NRMA Myall Shores Holiday Park. It boasts villa style accommodation as well as glamping, and camping. 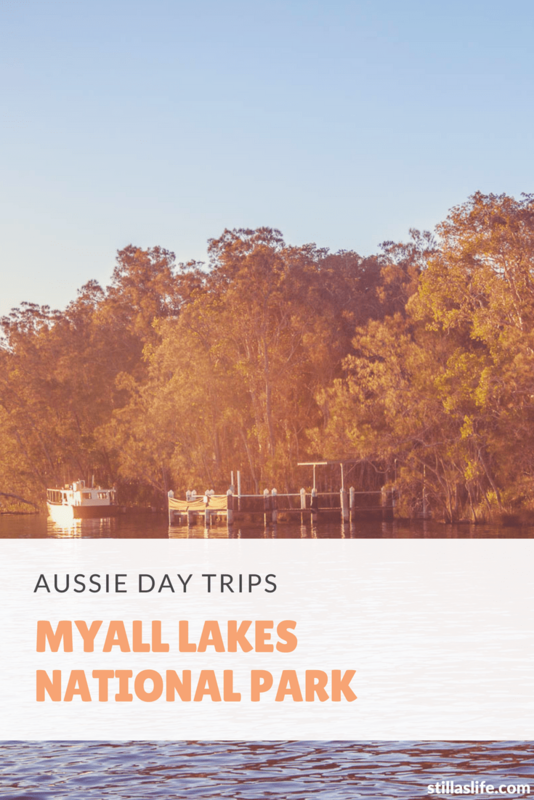 You will also find a pool, lake access, and on-site dining at the Barefoot Cafe and Pizza restaurant, the only restaurant within Myall Lakes National Park. Heading past the resort on Bombah Point Road, it doesn’t take long before bitumen gives way to gravel. Soon the National Park ends, and you enter cattle and sheep grazing areas with stunning sunset vistas across the Myall River. Minutes later, the bitumen is back, and we arrived in the town of Bulahdelah where we merged back onto the Pacific Highway and continued our journey north. I was amazed at how easy to access this scenic hideaway town is, and how close it is to Newcastle. It’s worth the detour off the highway, even if it’s just a quick trip.